What makes a “fun wedding”? Is it the music? Food? Entertainment? All the above? We’ve said time and time again that every wedding is entirely different, but no matter what, everyone is looking for the thing that makes your guests go “WOW”! Here are some fun wedding ideas we have accommodated at The Veranda that made these wedding celebrations loaded with excitement and a true fun-factor element! There’s nothing more unique from a venue’s perspective than bringing in St Joe’s finest food carts to the party! This fun wedding idea is a great surprise for guests that they’ll never expect! 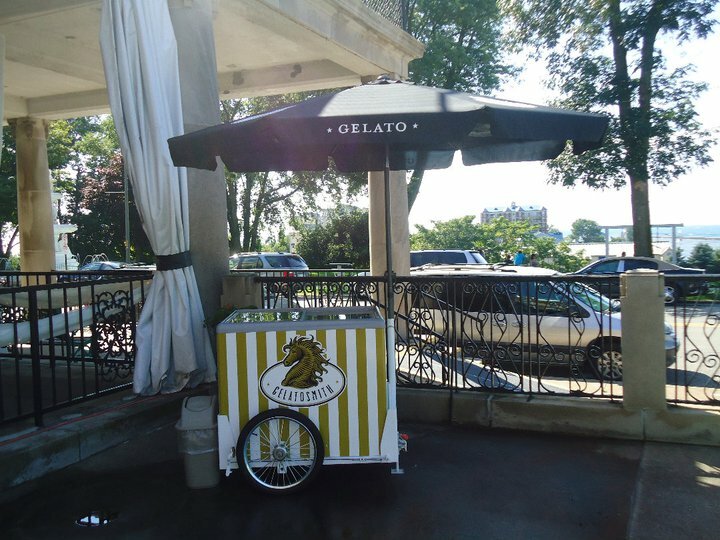 We’ve had the pleasure of hosting Gelato Smith’s Cart and The Hot Dog Cart for past weddings and always welcome food carts or trucks at The Veranda to add to the celebration! Turn your wedding reception into a wow-factor reception with some more fun wedding ideas! Show off with some live entertainment! This can be any number of things, and between what we’ve seen in the past and what is upcoming for 2013, we keep getting surprised at what’s popping up next! 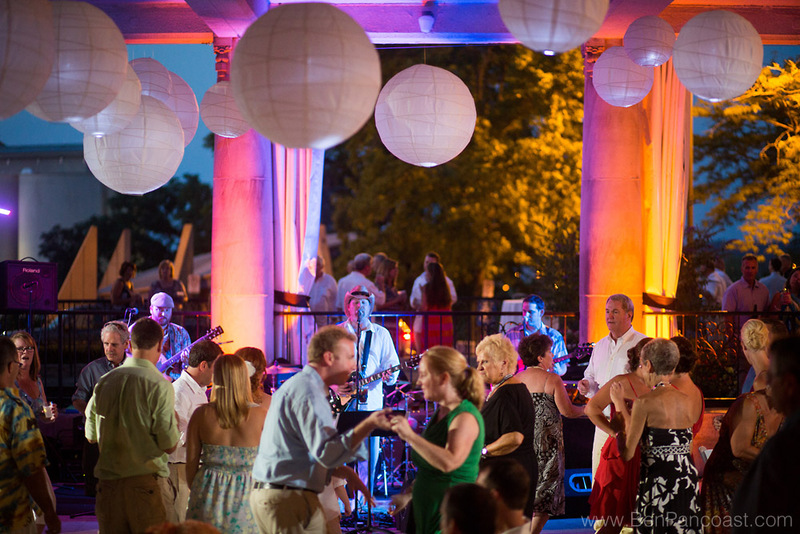 Live bands are always a sure hit – keeping guests out on the dance floor all night long. Big Al Wetzel Band, Jedi Mind Trip and Green Thirteen have rocked out in The Veranda and we are looking forward to Dueling Pianos and a Mariachi Band in 2013! 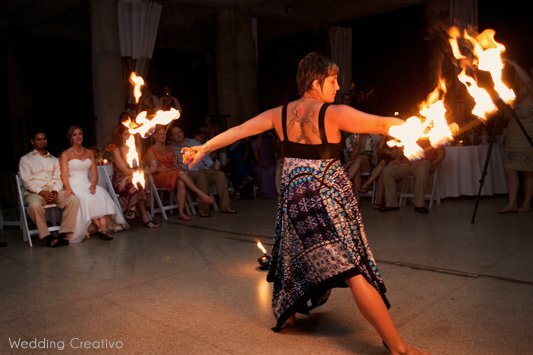 Did I mentioned we once had a professional fire dancer entertain during a reception? If that doesn’t make your guests say, “WOW” I don’t know what will! Giving your guests something to do throughout the night will ensure guests stay longer and enjoy themselves. Take a spin on the ole photobooth that crammed 4 people in a tiny space! Check out this much more interactive photobooth with tons of props, backdrops, and space for all your friends! 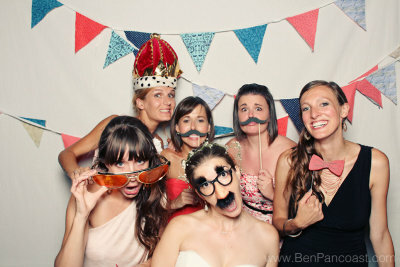 Ben Pancoast’s Photobooth tops my list of ultimate fun wedding ideas that guests are sure to love! As mentioned in my previous posts, having a cigar and whiskey bar for guests, a DIY cupcake bar, or a chinese lit lantern sendoff creates interaction for guests and gives them something to do and have fun with! Try something new – they are all great memories for the reception! For more big impact, fun wedding ideas, check out Kristin’s blog here! We’d love to hear what you’ve got specially planned for your reception! Feel free to share!